ORLANDO -- It’s no secret that the holidays, those weeks from Thanksgiving through New Year’s Day, can bring on extra stress for everyone. But for those who already deal with depression, anxiety, eating disorders or addictions this time of year can be even more challenging. For many, the holidays bring on extra stress and depression. 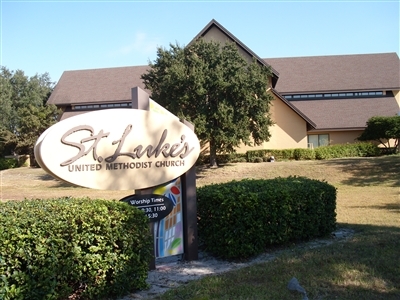 That’s why a comforting, calming, local presence like the Community Counseling Center at St. Luke’s UMC, Orlando, is so important all year around, and especially now. “During the Thanksgiving and Christmas holidays, there is added emphasis on food, which can affect people with eating disorders: those who deal with overeating or anorexia or bulimia,” said Dr. Joanne MacPherson, a psychologist and director of the center. 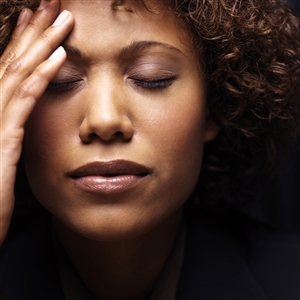 She said other stresses can arise from anxiety about “not feeling good enough.” The holidays can yield depression and anxiety about any number of issues, including physical beauty, entertaining or decorating skills and financial success. The 12-year-old center at the church, with its four permanent counselors and one intern, has experience counseling clients on all this and more. MacPherson is a longtime member of the church. Years ago, she and Dr. Bill Barnes, lead pastor, had a vision of a place where people could come for help from professional counselors. Today, the center is open to the community and operates on a sliding fee scale based on annual income, charging a minimum of $25 an hour. Insurance payments also are accepted. Referrals come from doctors, previous clients, pastors and word of mouth, MacPherson said. Last year, the center performed 3,000 hours of counseling. Dr. Joanne MacPherson, St. Luke's Community Counseling Center director, chats with intern Joel Christie at the center. Photo from Dawn Fleming. The staff works with medical doctors for prescription medications and nutritionists for help treating eating disorders. Different counselors have different areas of expertise so that clients may be directed to a good match for their problems. Although the center isn’t an effort to gain members, McPherson does see it as an indirect outreach of the church. “It’s important that people heal so they can go out and help in the world,” she said. The program is not considered to be an evangelistic effort, and there’s no formal reciprocity between the church and the center’s clients. But there are links, MacPherson explained. “A lot of times, people go to the pastor with their problems, then the pastor can refer them to us, if necessary, with confidence,” she said. Pastor Barnes wholeheartedly supports the center and its availability for those who need help. MacPherson said the center offers educational seminars throughout the year. Workshops with couples, parenting and divorce classes, stress and anger management sessions and more are scheduled. “These are free and open to the community and the congregation and we publicize them through emails, the church bulletin, community and local papers,” the director said. Professional counseling services in a church setting, like the 12-year-old center at St. Luke's UMC, can offer an extra measure of comfort during the holidays. Photo from St. Luke's. One client who has been treated for anxiety and depression at the center said the calm and safe environment has helped her cope with her challenges. Though not a member of St. Luke’s or any church, she said she is very spiritual and likes the church setting for counseling. “For therapy to work, there has to be a real connection and you have to really trust the person you’re speaking with and to feel you’re in a safe place,” she said. “The center has offered that to me. The professional staffers know exactly what they’re doing. Referred to the service by a friend, she said she has never felt any pressure from the church to attend services or become a member.